The year-end is a time for family, and visiting the local theater for a musical can please all generations. With 2018 just days away, here are some of the musicals you might want to check out to celebrate the New Year. The only English-language production on our list, this piece brings the 1990s comedy-classic movie to the stage. Packed with humor, disco and the soulful music of 1970s Philadelphia, the musical stars Dene Hill as the protagonist Delores Van Cartier, a nightclub singer who ends up -- of all places -- in a Catholic convent. 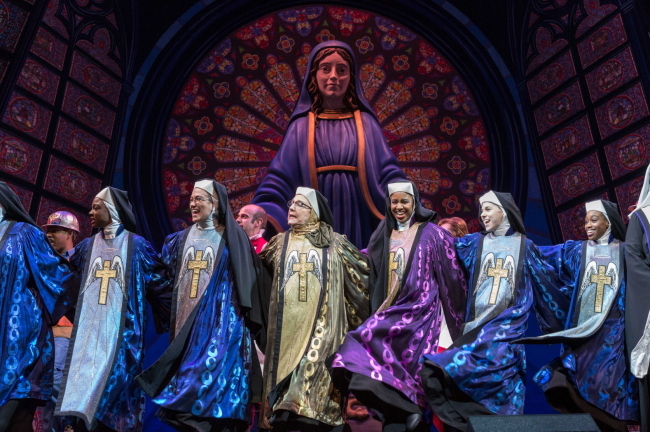 Sister Act will be running until Jan. 21 at Blue Square in Yongsan-gu, Seoul. Tickets range from 60,000 won to 140,000 won and there are no shows on Mondays. The stage adaptation of “The Brothers Karamazov” by Fyodor Dostoyevsky is a drama that revolves around the subject of patricide. The local production of the dark, brooding drama will feature a cast that includes Lee Jeong-su as the patriarch Fyodor Karamazov, Jo Tae-il as the eldest son Dmitri Fyodorovich Karamazov, along with Lee Jun-hyeok and Lee Hae-jun as Ivan Fyodorovich Karamazov. It is jointly directed by Park So-yeong and Heo Yeon-jeong. The show will run from Jan. 3 to Jan. 14 at Arko Arts Theater in Jongno-gu, central Seoul. The tickets range from 55,000 won to 66,000 won, and there are no shows on Mondays. This is also a local production of the 2000 British film, starring Jamie Bell as 11-year-old Billy Elliot. The plot story revolves around the aspiring ballet dancer dealing with the negative stereotype of his dream job. The show depicts a complicated youngster dealing with the gritty backdrop of his surroundings, captured wonderfully by five young actors -- Sung Ji-hwan, Chun Woo-jin, Sim Hyun-seo, Eric Taylor and Kim Hyun-jun -- sharing the role of the title character. 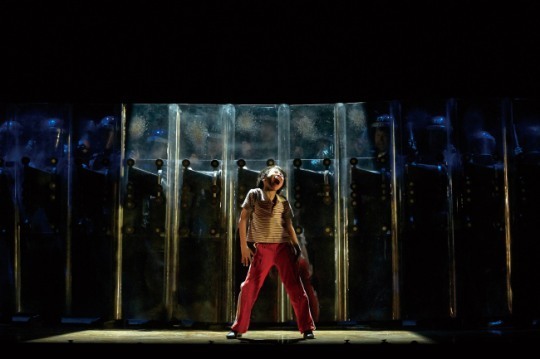 “Billy Elliot,” will be staged daily -- except Mondays -- at D-Cube Arts Center in southern Seoul until May 7. Ticket prices range from 60,000 won to 140,000 won. Originally an off-Broadway musical, the show delves deeply into what love really means. The plot revolves around two couples separated by time; 20-somethings who are about to get married and a couple in their late 30s about to get divorced. On the edge of making the biggest decisions of their lives, the couples contemplate the meaning of love. The show is playing at JNT Art Hall in Jongno-gu, Seoul. Tickets are 60,000 won. There are no shows on Mondays. If you are looking for something more home-grown, and are a fan of old Korean music and culture, “Gwanghwamun Yeonga” is just right for you. The musical is highly nostalgic of the 1980s~1990s Korea, with the middle-aged protagonist Myeong-woo recollecting upon his memories of his old love Su-a. The musical is played until Jan. 14 at Sejong Center for the Performing Arts in Jongno-gu, central Seoul. Tickets range from 40,000 won to 140,000 won and there are no shows on Mondays.